That Devil Music: Beat Legend Allen Ginsberg’s Howl on Vinyl! Beat Legend Allen Ginsberg’s Howl on Vinyl! Legendary Beat poet Allen Ginsberg is known for his classic 1956 debut Howl and Other Poems, a thin but influential collection of innovative poetry that would inspire a generation of artists, including Bob Dylan, Patti Smith, and Joe Strummer of the Clash. The collected poems rail against U.S. conformity and commercialism with an unprecedented creative voice and raw language that would turn the literary world on its collective head. Published by the forward-thinking City Lights bookstore in San Francisco, Howl would be banned for obscenity and City Lights publisher (and fellow poet) Lawrence Ferlinghetti and bookstore manager Shig Murao were both jailed for selling the book. The collection represented one of the first important battles for free speech, a fight that raged well into the 1960s and ‘70s, with a judge finally lifting the ban and declaring the poem “Howl” to possess sufficient artistic value to qualify for First Amendment protection. 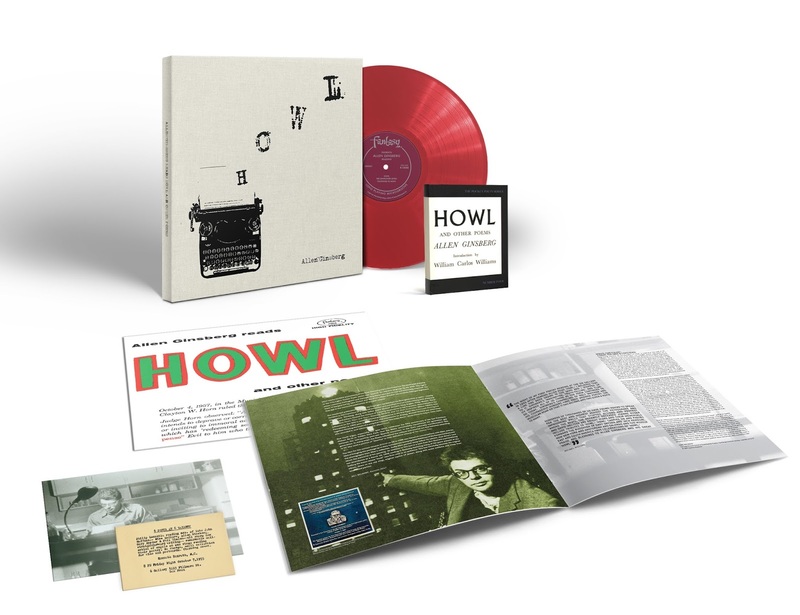 On February 23rd, 2018 Craft Recordings – the catalog division of Concord Music – will release a deluxe vinyl box set celebrating Ginsberg’s Howl and Other Poems. Pressed on translucent red vinyl, the LP reproduces the original 1959 album of Ginsberg reading his poems and the set includes a copy of the book as well as other ephemera like a photo of Ginsberg from the 1950s and a booklet that includes new liner notes by Beat scholar Ann Charters and notes by poet Ann Waldman. To celebrate the album’s release, San Francisco’s legendary City Lights Booksellers will host a reception on February 22nd at 7:00 PM. The event, which will be open to the public, will feature readings and statements by Ann Charters, San Francisco’s Poet Laureate Kim Shuck, poet and author Neeli Cherkovski, City Lights’ Poetry Editor Garrett Caples, and box set producer Bill Belmont. Archive Review: The Yardbirds' Ultimate!